2. 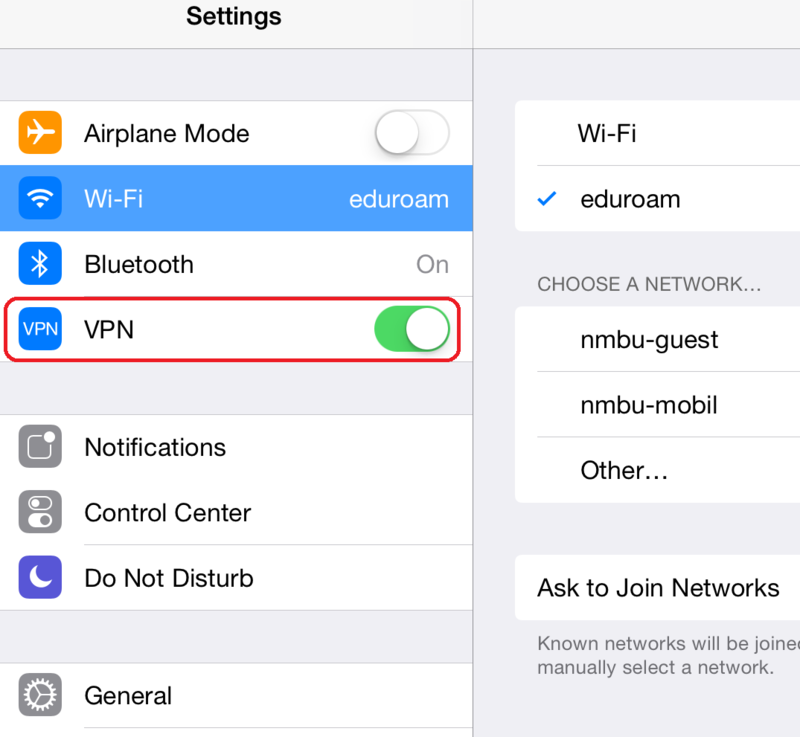 Enter the information as below: Choose PPTP, “Description” You can choose yourself, “Server” must be vpn.nmbu.no, in “Account” enter your username followed by @nmbu.no, enter your password. Make sure “Send All Traffic” is checked. Hit “Save”. 3. 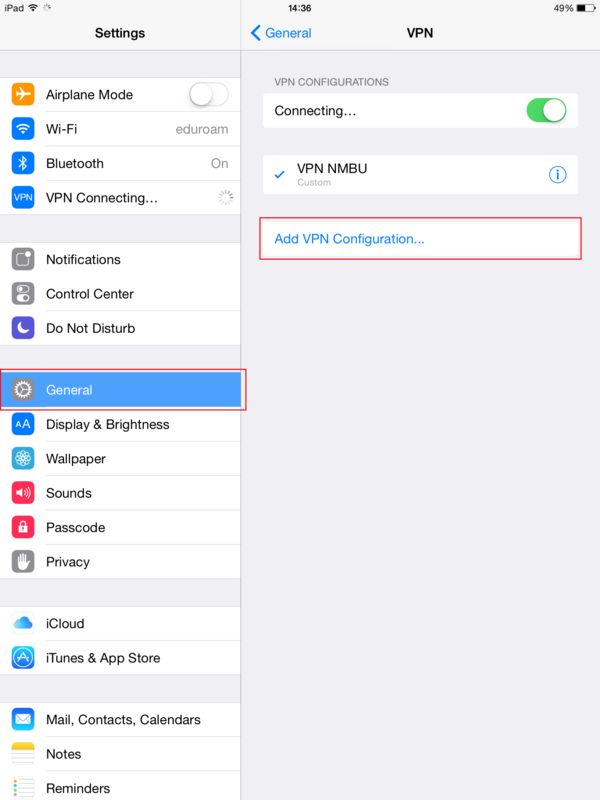 A VPN status then appears and you can click it to connect. 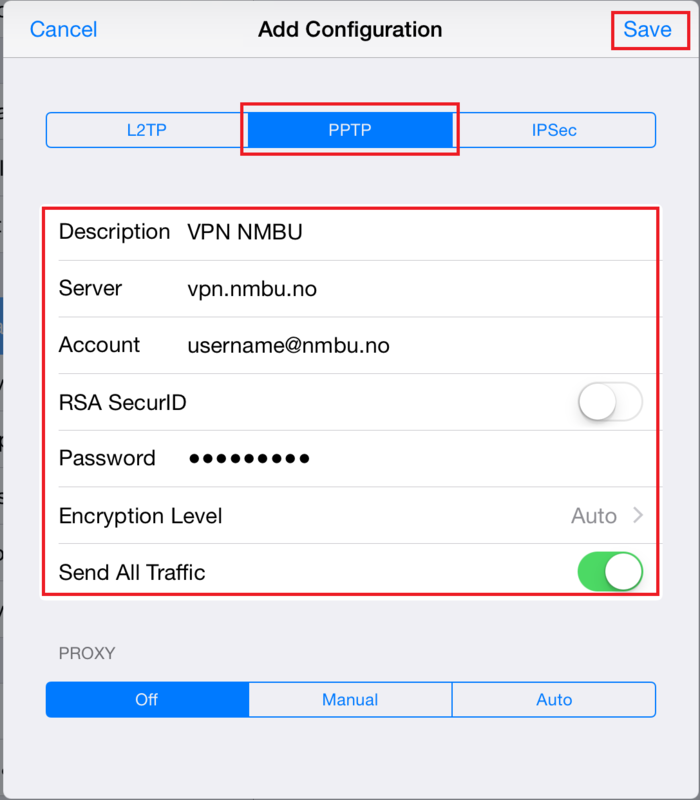 This entry was posted in IT-documentation and tagged iPad, VPN on June 22, 2015 by Anders-Budde erichsen.